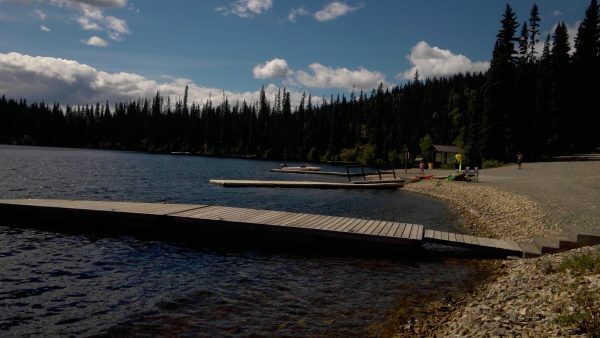 Long famous for its rainbow trout, Carp Lake Provincial Park, just two hours north of Prince George and nearly in the exact centre of the province, offers some of the best fishing in the Central Interior. 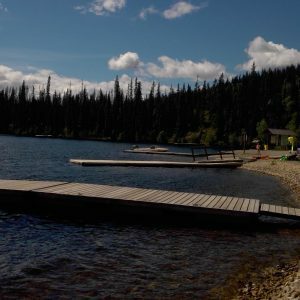 The park includes Carp Lake, nearby War Lake, numerous smaller lakes and streams, and the 8-kilometre waterway that connects Carp and War Lakes and forms the beginning of the McLeod River. 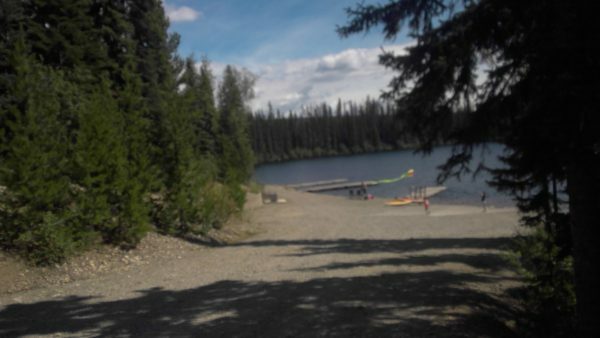 The northern shoreline of Carp Lake has extensive sandy beaches with broad belts of sand extending up to 300 metres offshore. The sandy character of the north shore contrasts with the smooth-bouldered beaches broken by sand deltas on the spruce-forested south shore. 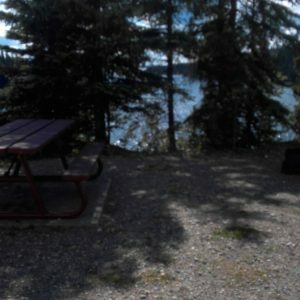 Two popular campgrounds offer a total of 102 fully maintained campsites. 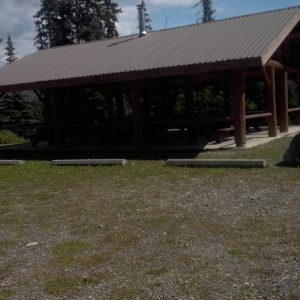 The main Carp Lake campground has a picnic shelter, horseshoe pits and an adventure playground to keep the kids busy. 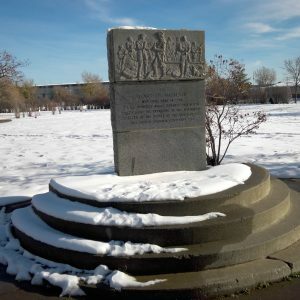 Carp Lake Park is rarely full, except on long weekends. Boaters and canoeists can choose among three island campsites that offer secluded camping after a day spent exploring and fishing the lake’s many bays and isolated stretches of shoreline. 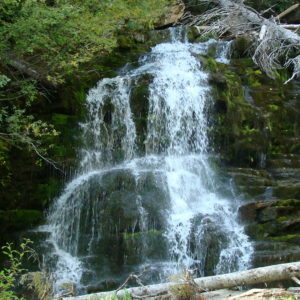 A short walk from the park’s second primary campground at War Lake brings visitors to War Falls, a spectacular cascade of water that comprises two distinct waterfalls separated by about 100 metres of rushing, white water. 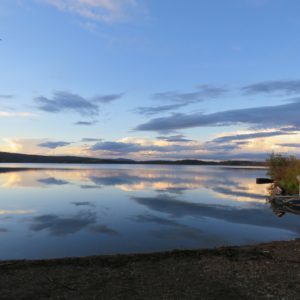 Portions of the original aboriginal route to Fort McLeod have been developed into an exciting interpretive loop trail that departs from the main campground; this 3-km hike also provides access to Rainbow Lake and fine fly fishing on the McLeod River. 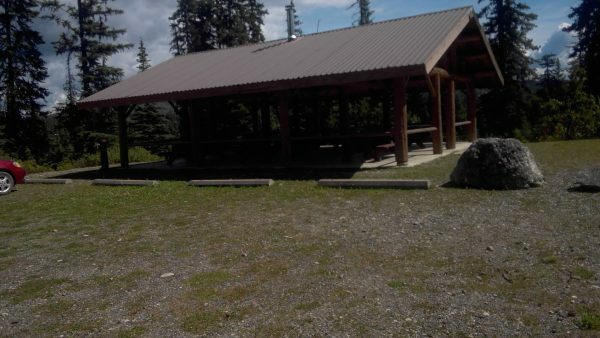 Interpretive trail signs are located along the trail to first beach, McLeod River Trail and the War Falls Trail. 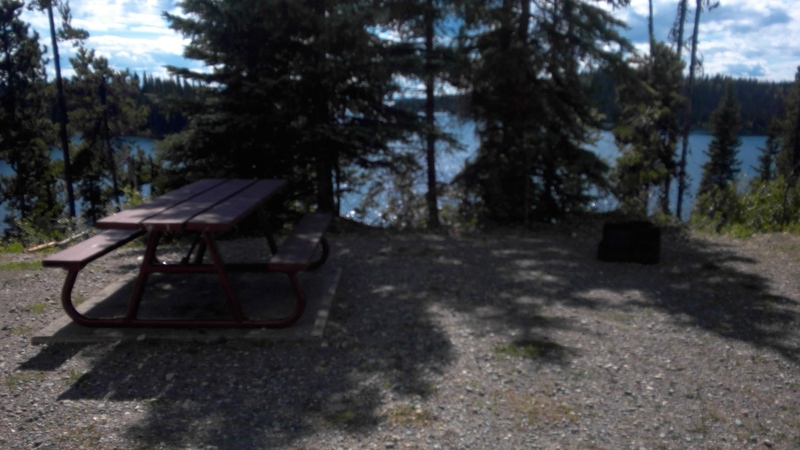 These signs provide interesting information about the plants, animals and history of Carp Lake Provincial Park. The Access BC website is provided by Spinal Cord Injury BC and is intended to inform people with spinal cord injuries, related disabilities, seniors, and all users about accessibility in parks and outdoor spaces throughout BC. Ongoing accessibility audits will be conducted and information added as it becomes available. PLEASE NOTE: Some of the information on the site may be subjective and changes implemented of which we are unaware. As such, Access BC and Spinal Cord Injury BC cannot be held responsible for the completeness or ongoing accuracy of the information. Users are strongly urged to conduct further research as necessary specific to their particular requirements and interests. The assessments were designed to gather the most objective information possible. None of the areas we audited fully met code and users will find some areas much easier to access than others. The ratings system is based on the interpretation of data gathered in the assessments; therefore, outdoor spaces that meet the spirit of the code are listed as meeting code. If inaccurate or additional information is found, we ask users to contact us so that we can make amendments as needed.